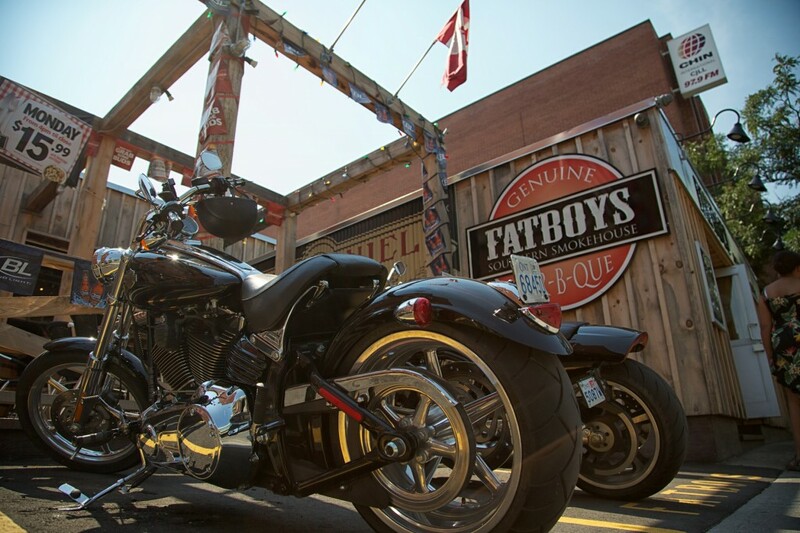 An opportunity to combine his love of southern hospitality, biker ambience, and good ‘ol fashion slow and low BBQ… now known to Ottawa as the Fatboys experience. Shawn carried the memory of all that great BBQ with him around the world, as he became the eighth person in history to climb the highest peak on every continent in under two years. Along the way, his Dream Mountains Foundation raised over $100,000 for seven charities (one for each summit). During the brutal two and half month experience of climbing Mount Everest, he kept himself distracted from the hardships by planning every last detail of Fatboys. Shortly after his safe return, Shawn’s travels had him back on his bike and heading down South to get reacquainted with his love of the BBQ culture. There, he visited some friends in Daytona, the owners of the world’s largest Harley dealership and the famous Pig Stand BBQ Joint. Shawn rolled up his sleeves and got busy in the Pit. His next stop brought him to Memphis to meet up with friends, including Steph Legari, Ottawa’s very own Grilling Gourmet. The gang absorbed the sights and sounds of Memphis, the gateway to the Blues, as they ate their way through BBQ joint after BBQ joint. Next was a trip to Texas, the birthplace of onion rings, where Shawn learned the finer points of beef brisket. Finally, no BBQ research could be complete without a visit to Kansas City, the home of the world’s largest BBQ competition, The American Royal. On December 8th, 2011, Fatboys Southern Smokehouse opened its doors for the first time, giving Ottawa/Gatineau folks a chance to enjoy a new era in Ottawa dinning. When customers enter, not only are they greeted by our friendly staff but also the sweet aroma emanating from our Southern Pride smoker and the mouthwatering barbeque cooking slow and low. At long last, Shawn’s dream came true–the Snow Belt unites with the BBQ Belt, whichis why all 13 Southern states flags fly proudly outside Fatboys Southern Smokehouse.